Harlan Shea never planned to set foot in Timber Ridge again. Not after the shoot-out that had taken the lives of friends and brought the wrath of his employer down upon his head. Now, his old boss is begging for his services once again. Cattle shipment after cattle shipment is disappearing without a trace. Loaded onto freight trains, not a head has arrived at its destination. Who is behind the elaborate scheme? Can Shea uncover it, before it's too late to make a difference? Shea has a proud history of fighting rustlers, but will he be able to serve under the very man who fired him? Can he put his past behind him, or is his destiny inevitable? 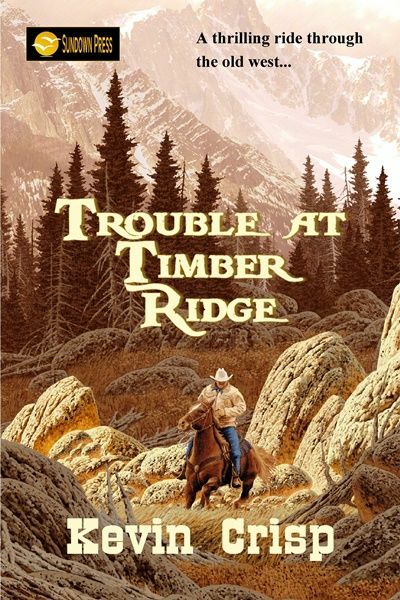 Shea returns to find a changed Timber Ridge, where the telegraph and railroad line reign supreme, where ghosts from the past lie in wait around every corner, and where the haunting eyes of a mysterious young girl may just be his undoing.